Our 19 member airlines let your clients travel the world in a smooth and easy way. Whether it’s for business or personal adventure, you can now offer your clients a smarter, more economical way to go places. 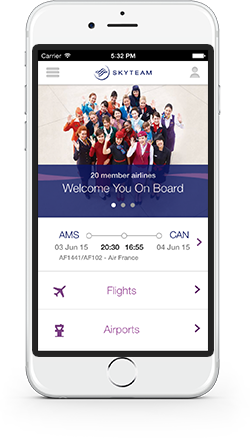 This planner will allow you to build an itinerary that meets the requirements of the SkyTeam Go Round the World fare. Once you've validated the itinerary with the planner, you can book it in your GDS with confidence! To start the Round the World Planner, click on the button below.